The Coordinated Management of Meaning Theory, better known as the CMM theory is a communication theory born as a collaborated work by W. Barnett Pearce, Vernon Cronen and their colleagues on the mid 1970s. The CMM explains the connection between meaning, action and coordinated behavior. This theory gives a brief overview of how communicators organize interaction. The central claim of this theory is that communicators must manage their own meanings and actions, while at the same time responding to meanings and actions of the others in order to maintain an interaction (Littlejohn & Foss, 2009, p. 200). In communication traditions, this theory can fall between a lot of categories. However, Littlejohn and Foss in their book “Theories of Human Communication” classifies CMM as a part of the cybernetic tradition because of its emphasis on conversational interaction. There are two basic assumptions of CMM. When a person faces a communication situation — any situation requiring communication to happen, a person: (1) assigns a meaning to the situation, and afterwards (2) decide how they should react (Littlejohn & Foss, 2011, p. 211). Although it may seem as two separated and different concepts, action and meaning are always reproducing each other. Action breeds meaning, and meaning breeds action. Sounds complicated? Probably, since CMM is a practical theory. It may be hard to understand this theory through long explanations. Let me make it easier for you. For example, imagine that you are a college student. One day, your lecturer calls you to his office. He said he had something important to tell you. You follow your lecturer, worried and anxious. Thoughts jumble in your mind. Did you do something wrong? Did you do something right? Were your grades doing okay? Did you do your last assignment well? You enter the office anxiously. The lecturer asks you to sit. He then grabs an empty cup and brews you a cup of tea. He offers you the cup and sits behind the table. The process above describes that both you and your lecturer has the same understanding of the issue being discussed (your news report). This will take you to a deeper understanding of CMM, as the conversation above explains a vital concept in CMM: stories. We’ll discuss this later on. Your lecturer didn’t have the slightest intention of mocking nor harassing you, however, because you had a set of assumptions “prepared” beforehand, you react emotionally to his statements. You become offended and mistake your lecturer’s good will in helping you. The next part of this conversation will show the process of “giving a reaction” to a communication situation (giving action towards meaning). And the conversation ends. Due to the remarks made by your lecturer, you, being clouded with assumptions, reacts harshly. The meaning you deciphered was continued by your action, through a set of thoughts you displayed. This is an example of the practical analysis of CMM. This theory recognizes more than just meaning and action, but also the process of coordinating your actions with the others in order to maintain an interaction. CMM is a genuine practical communication theory applicable to daily life conversations. However, CMM is not a set of propositions about events and subjects, but a set of concepts and tools to help people understand (Pearce, 2oo7, p. 78). As I was mentioning, another important element of CMM is the concept of “stories.” In order to interact, communicators have to share a “story” — the same sense of understanding. 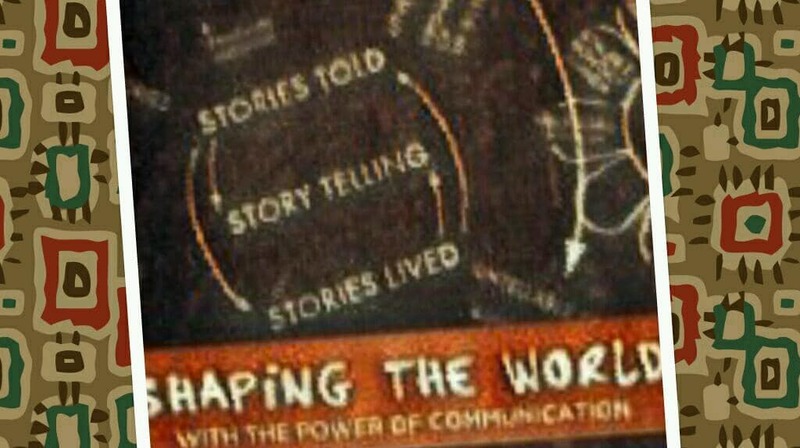 CMM categorizes six types of “stories:” (1) stories LIVED, (2) UNTOLD stories, (3) UNHEARD stories, (4) UNTELLABLE stories, (5) stories TOLD and, (6) story TELLING. These terms are usually referred as the LUUUTT method (Littlejohn & Foss, 2011, p. 212). In order to understand CMM thoroughly, check out the next article, where I will discuss the ever-popular “Humans of New York” movement; a perfect example to breakdown key points of the CMM theory. Littlejohn, Stephen W. & Foss, Karen A. (Eds.). (2009). Encyclopedia of Communication Theory. California, USA: SAGE Publications, Inc.
Littlejohn, Stephen W. & Foss, Karen A. (2011). Theories of Human Communication, 10th Edition. Illinois, USA: Waveland Press, Inc.
Pearce, W. Barnett. (2007). Making Social Worlds: A Communication Perspective. Victoria, Australia: Blackwell Publishing.